He also contradicted an assertion by Anthony Ghosn, Ghosn’s son, to France’s Journal du Dimanche that Ghosn was being pressured to sign a confession printed in Japanese that he didn’t understand. “Not once has Mr. Ghosn expressed to us any concerns about being asked to sign a prosecutor’s statement in Japanese over concerns about the accuracy of translation,” said Otsuru, a former lead prosecutor at the division that is spearheading the investigation against his client. Meanwhile, if Ghosn were as wealth-obsessed as prosecutors portray him, he might have never ended up in a Japanese jail cell. In his statement to the court, Ghosn recounted how “four major companies” tried to recruit him away from Nissan, including Ford and General Motors. Despite the lure of bigger money, he said he felt a duty to finish his revival work at Nissan. “Even though their proposals were very attractive, I could not in good conscience abandon Nissan while we were in the midst of our turnaround,” Ghosn said in his prepared remarks. Ghosn was indicted Dec. 10 for allegedly falsifying securities filings by not reporting ¥4.9 billion ($45.1 million) in deferred compensation in the 2010-14 fiscal years. Otsuru conceded Ghosn feels “dissatisfaction” toward some former Nissan colleagues. But the defense strategy overlooks any bad blood and trains squarely on the legal issues. 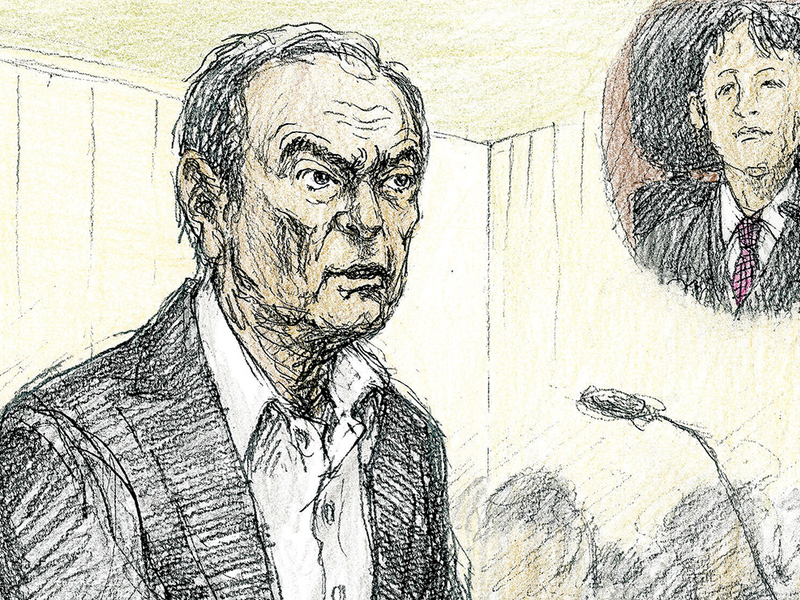 Even in the Japanese media, many lawyers are calling Ghosn’s counterarguments persuasive.